Much as the title advises, this novel is about Marya Knauer and her life. Told in her own voice, the novel opens with Marya as a child, her father recently dead and her mother abandoning and her two brothers. They move in with her Aunt and Uncle and cousins, one of which abuses her. She is poor and from the wrong side of town but all this gives her is an incentive to be better than everyone else, to be smarter, more ambitious and to get out of her small home town. We move through Marya’s life in leaps to significant times each marked by a significant relationship; her dying priest while in high school, a frenemy at college, her professor/mentor/lover. And each chapter shows us how she is moving away from her humble beginnings and maturing into an acknowledged intellectual and published author. This is my second Oates, my first being a short story compilation of hers. I enjoyed the short stories, they were a bit off-kilter and bizarre. But Oates had a way of breaking off a story at crucial times and leaving the rest to the readers imagination. OK for the first few stories but became increasingly annoying when every story ended the same way. I have come to realise that this seems to be her MO, as Marya’s story ends the same way. However, in this circumstance it seemed to fit perfectly. This novel reads more like Marya’s diary; it is not just an account of her every day actions but an insight to her inner-most thoughts, her emotions, her motives. 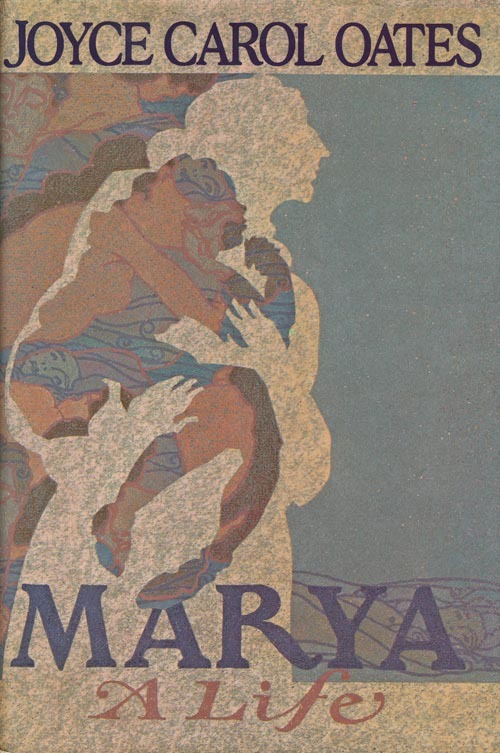 There is also a progression of the writing style as it moves from child-Marya to adult-Marya. The first chapter jumps from topic to topic, seeming to be a bit more stream-of-consciousness, less structured then the later chapters. And so, in respect to the ending, it stops at the end of a certain chapter of her life, but not at the end of her life. The end of one diary but we don’t have access to the next one. Lately her ‘serious’ writing frightened her not just the content itself – though the content was often wild, disturbing, unanticipated – but the emotional and psychological strain it involved. In my opinion, this is why this book is on the list and why Oates is such a widely-heralded author. Of her skill as a writer there is no doubt; that clear progression from child to adult Marya, the emotion she can evoke with just one sentence. Oh, and the fact that she has been teaching creative writing at Princeton University since the late 1970’s (Interesting sidenote: She taught Jonathan Safran Foer and was an advisor for his early development of Everything is Illuminated, number 26 on this very list). I am a confirmed fan of Ms. Oates and with three more books on the list and over 50 novels to her name, I have a lot more to enjoy. I can appreciate that this book may not be to everyone’s tastes, but based on my personal enjoyment and admiration of the author herself, I do recommend this and give it a 3.5/5.